SlipDoctors bath tub sticker pack. 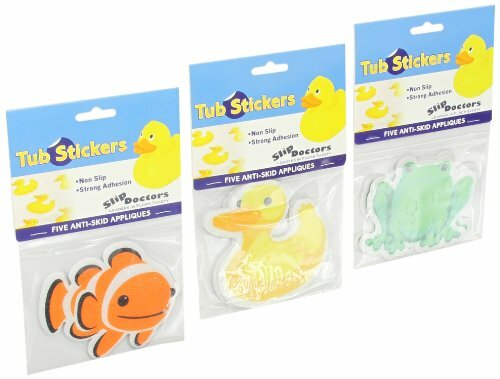 Make bath time fun and safe with these non-slip stickers. 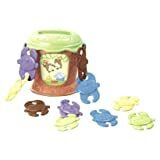 Each package contains five non-slip tub stickers measuring 4-inches in diameter. Stickers offer strong adhesion on any non-textured, non-porous surface. Installation is easy. Takes less than 5 minutes to peel and stick. The combo includes three packages of five non-slip stickers (15 total appliques: 5 Clownfish, 5 Ducks, 5 Frogs).